Horizontal life line, walkway, a portable deadweight anchor system and eyebolts are the main constituents of the Kee Safety range. Additionally a range of accessories is available. In order to prevent accidents at high altitudes the utilization of personal fall protection is often employed as a precautionary measure to protect workers. 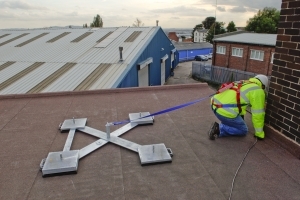 Implementation of intercept by restraint of fall arrest systems helps to mitigate accidental falls from dangerous elevations, from an access point, or leading edge, on a roof, building, walkway, or other potentially hazardous location. Personal Fall Arrest Systems typically consist of some form of anchorage, connectors, and a body belt, or body harness, and may include a deceleration device, lifeline, or suitable combinations. 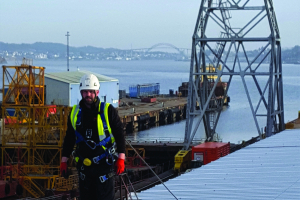 Under certain Whatever the safety application need, an OSHA compliant solution can be found within the Kee Safety categories of personal fall protection products. Explore our personal fall protection products below.